in the auto dry box to desiccant in the dry unit. moisture in the auto dry box from saturated desiccant in the dry unit. Store food, tea, coffee, seed, perfume. 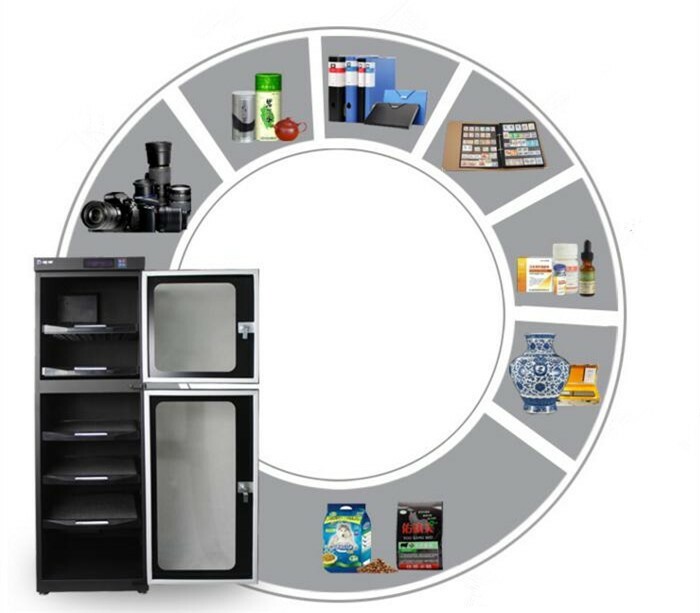 Store precise instrument, IC, chemical and medical materials, paper materials. 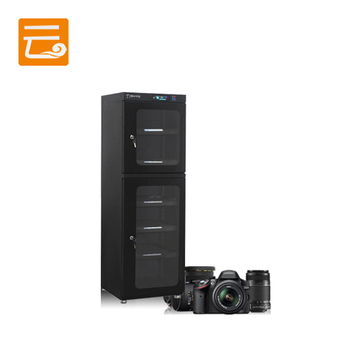 Store photographic & optic lens, cameras or digital photography, audiovisual , films, Disc. Control RH to 30%-60% at fixed point. Environment protection and energy saving. High loading capacity, skid proof and shatter resistent. 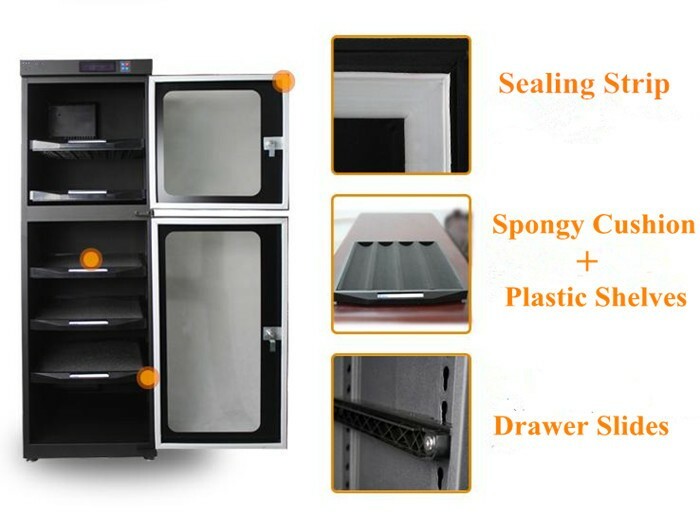 Cabinet body does not deform even if placing heavy things. Purity air polluted by chemistry such as sulfide and alcohols. 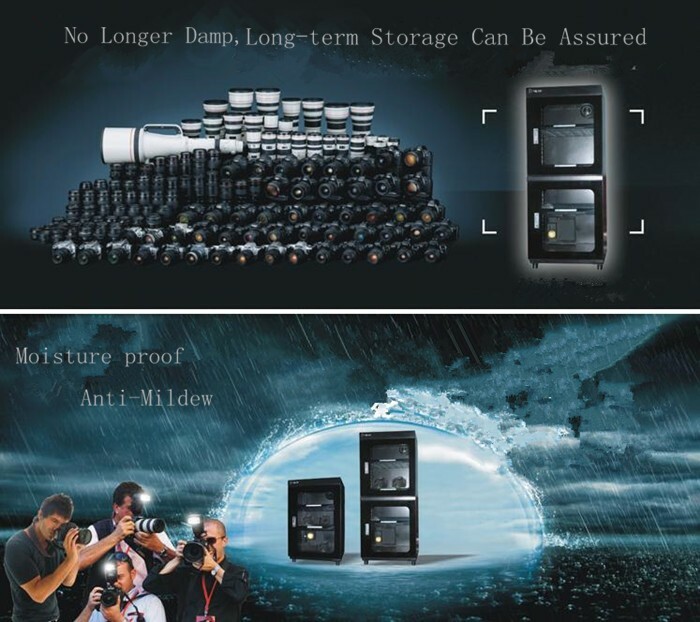 Keep dehumidification even if accidentally powered off 24 hours. 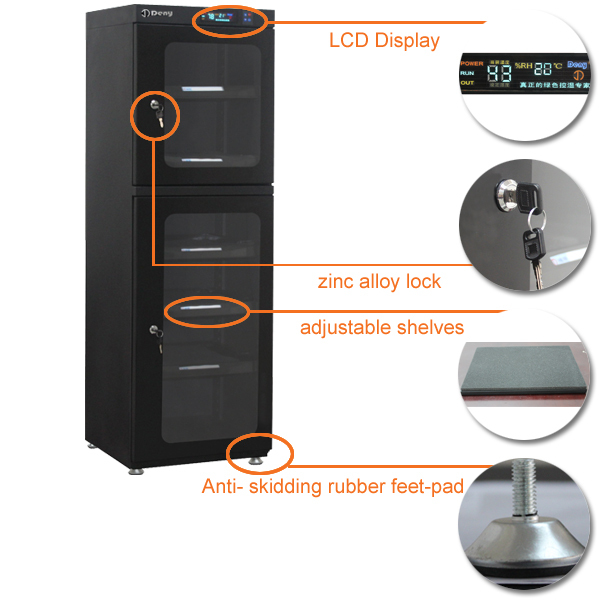 no counter-humidity, no heating, no condensation dripping, no fan noise. 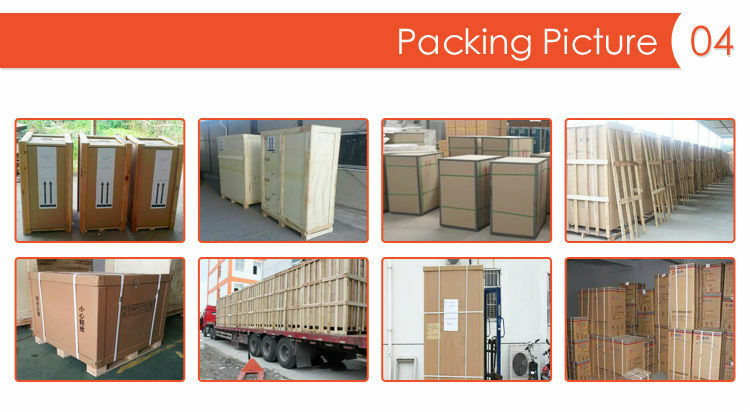 Packaging Materials: plywood case or honeycomb carton. Delivery detail: Within 15 working days. 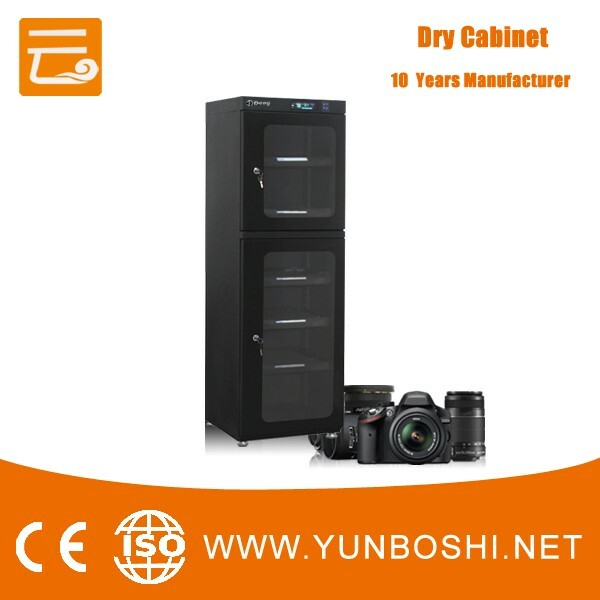 We are a profesional Electronic Dry Cabinet manufacturer in China providing different sizes of dehumidification cabinets with various options. 1. 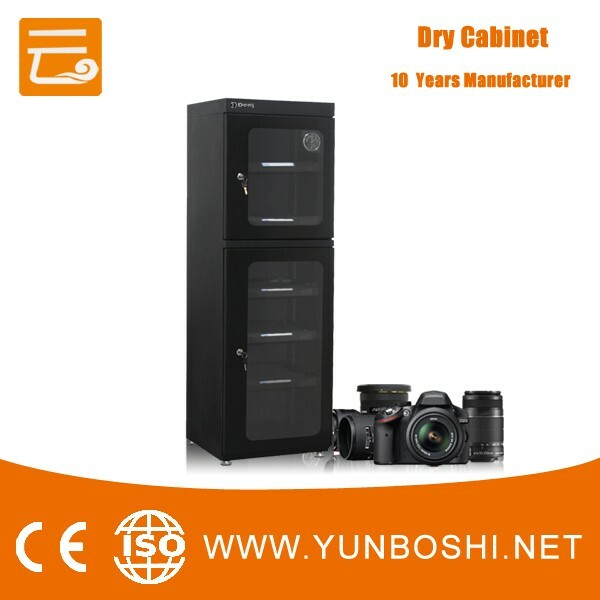 Why do you need a dry cabinet? 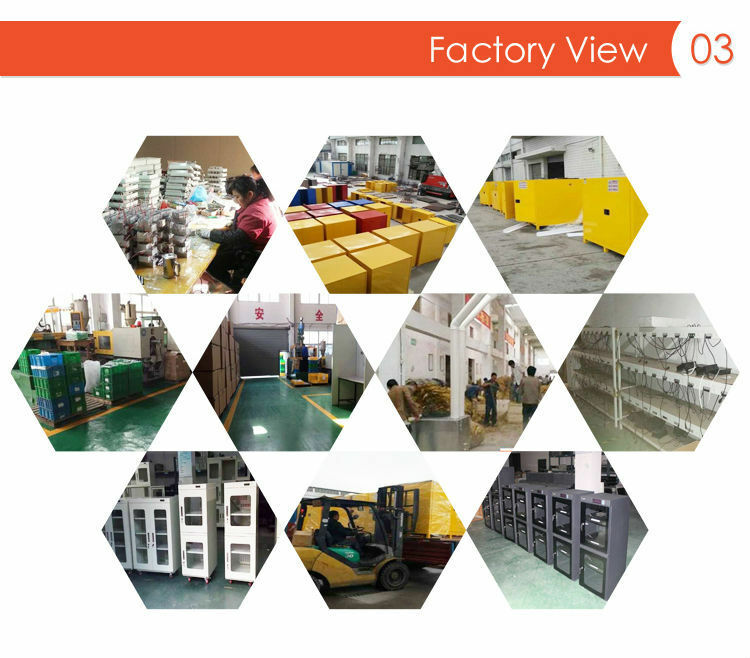 45-55%RH Special chemical medicine, precision electric components, BGA, IC, SMT, Wafer, SMD, LCD etc. 2. 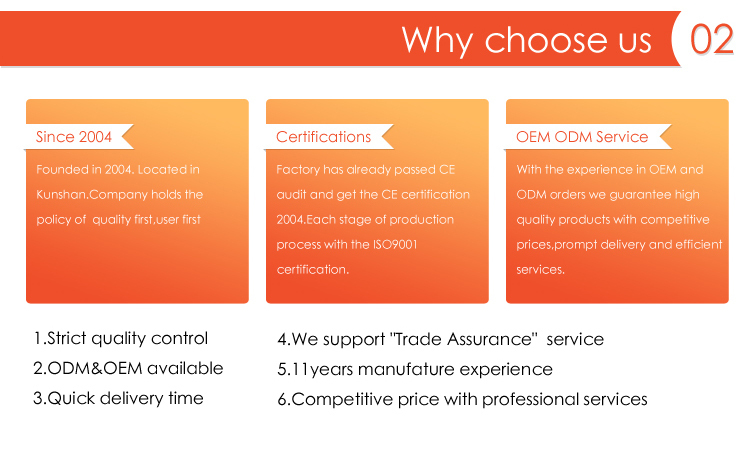 Can you customize the product? 3. Which payment terms are you doing? 4. Which shipment is available? 5. Which country you have been exported? 6. How long is the delivery time?